Understanding grammar will help you on your way to foreign language fluency. 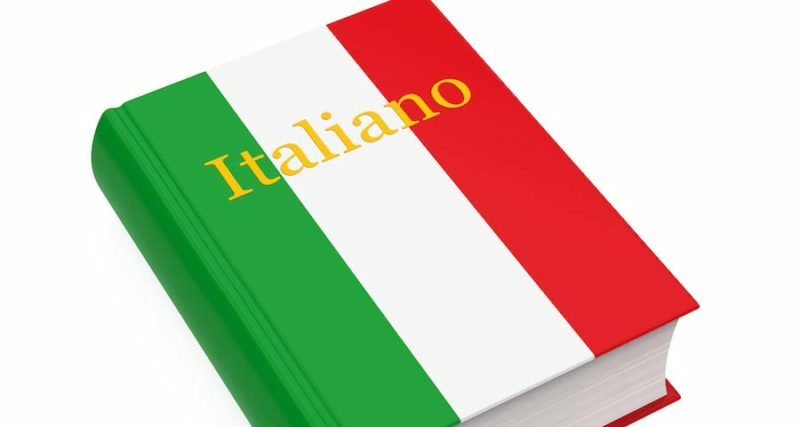 When learning the Italian language, it is important to note that all nouns are either masculine or feminine, with the balance being fairly evenly. If noun gender is a new concept to you, then it may be tempting to think that masculine and feminine nouns are driven by gender; while this is sometimes the case, it isn’t guaranteed. If it is true that words like “father” and “brother” (“padre” and “fratello”) are masculine, and “mother” and “sister” (“madre” and “sorella”) are feminine, the gender of a noun can often be determined by the last letter of the noun. A noun is feminine if it ends in “-a”. A noun is masculine if it ends in “-o”. Nouns ending in “-e” could be either masculine or feminine. This means you will need to memorize the gender of nouns ending in “-e”, which will make them more challenging. Plural nouns are tricky in Italian because the ending of the noun will depend on the gender. The following guidelines will help you to navigate the different plural endings. 1. Masculine nouns ending in “o” will change to “-i”, as well as changing the article. 2. Masculine nouns ending in “a” will change to “-i”, as well as changing the article. 3. Feminine nouns ending in “-a” will change to “-e”, as well as changing the article. 4. Nouns that end with “-e”, regardless of gender, change to “-i”. There are some nouns that don’t follow the usual rules in Italian. Fortunately, they do tend to follow a pattern. 1. Masculine nouns ending in a stressed “-io” change to “-i”; nouns ending in an unstressed “-io” drop the “-o”. 2. Masculine nouns ending with “-co” and “-go” may have an “-h” added to them, before changing the “-o” to “-i”. 3. Feminine nouns ending with “-ca” and “-ga” always have an “-h” added to them, before changing “-a” to “e”. 4. Nouns with an accented vowel don’t change when pluralized. You can tell that it is the plural version because of the article. Some words have irregular plural forms, like the word “l’uomo” (man), whose plural is “gli uomini”. Lastly, there are some words that are masculine in singular and become feminine in plural. Italian grammar is unique in that the addition of a suffix can essentially act as an adjective, giving details about the word without adding another word. For example, by changing the ending of “ragazzo” (boy) to “ragazzino”, it means “little boy”. By changing it to “ragazzone”, you are now talking about an overgrown boy. And a “ragazzaccio” is a bratty boy.